Kevin McKidd, who voices "Soap" MacTavish in the Call of Duty series, reports that talks have begun on bringing the game to the silver screen. According to a brief chat with Kevin McKidd, the Scottish actor who voiced "Soap" MacTavish in Modern Warfare 1 and 2, there are plans in the works for a Call of Duty feature film. No script appears to be written yet, nor have casting decisions been made, but McKidd said he would love to star if the film is greenlit. The actor spoke with the NYPost about why he was asked to play Soap in Modern Warfare 2. "They were looking for a rough, Scottish actor in Hollywood they probably couldn't get Gerard Butler, so they got the No. 2 Gerard Butler, me. I had no idea it would be so huge, and now there are talks of a feature film," he said. When he was asked whether he would like to be in the film, McKidd said, "If the script is good, and Gerard isn't available [laughs], then absolutely." I'm not sure why he's got such a bug in his brain about Gerard Butler, but I guess it's a Scottish thing. 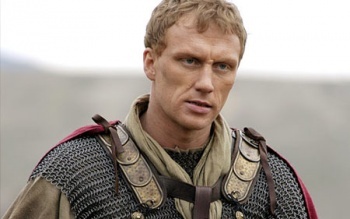 McKidd has done quite enough acting to be respected on his own, with recurring roles on HBO's Rome and Grey's Anatomy, as well as a big part in the rom-com, Made of Honor. I suppose that with MW2's immense success, the discussion of a movie about the franchise would have been inevitable. Even movie execs can't bat an eyelash at $550 million made in five days. A movie that grosses a fifth of that take would be a huge coup for them. What do you think? Should McKidd reprise his role if there is a film? If he did, he would be the first actor to do so, which seems to be quite a feat in and of itself.